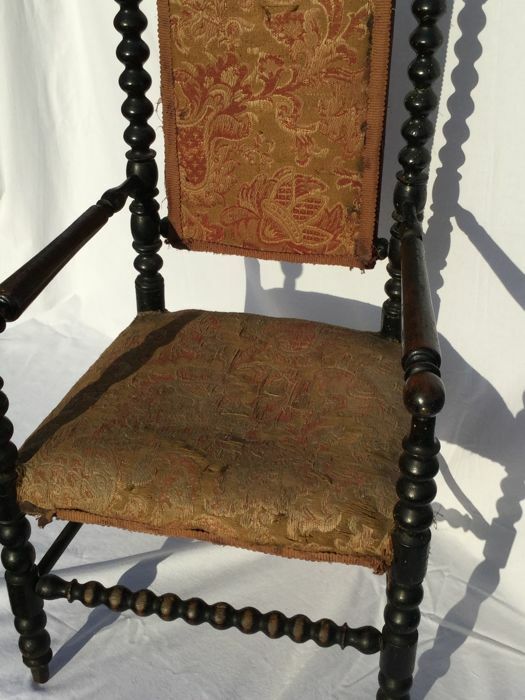 With signs of old age, but in beautiful and original good condition! 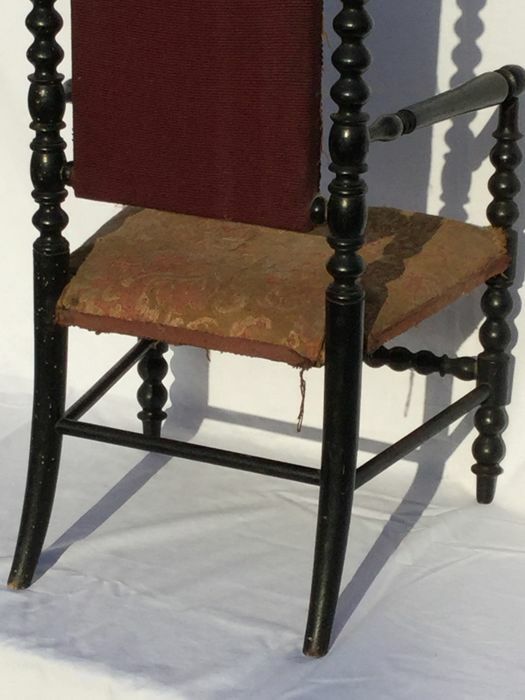 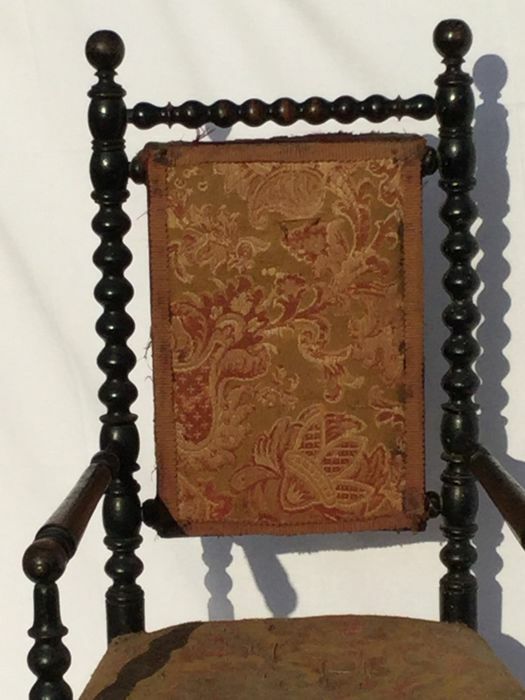 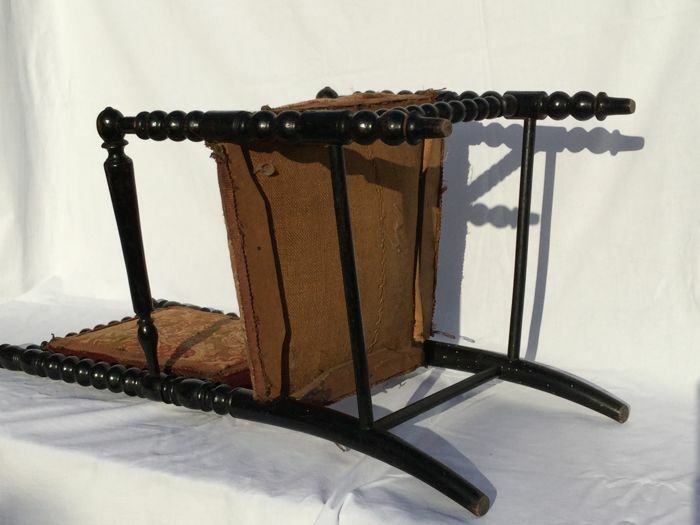 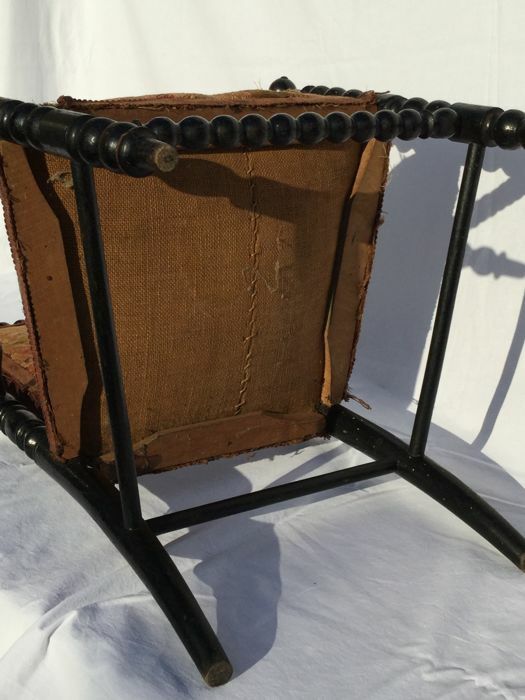 Wonderful and very decorative antique high chair. 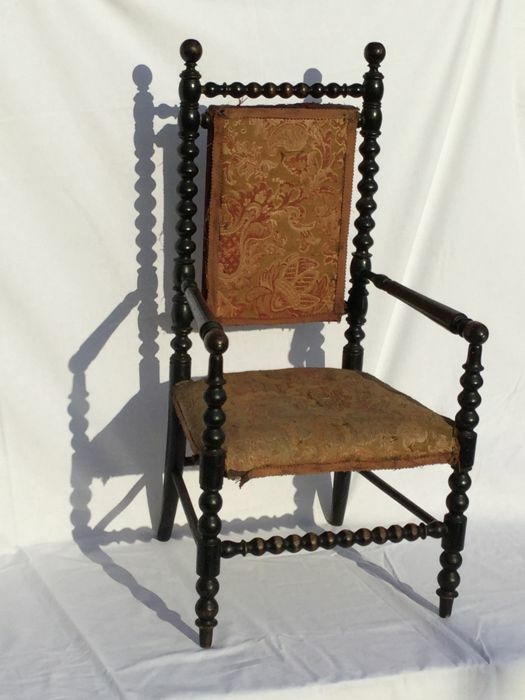 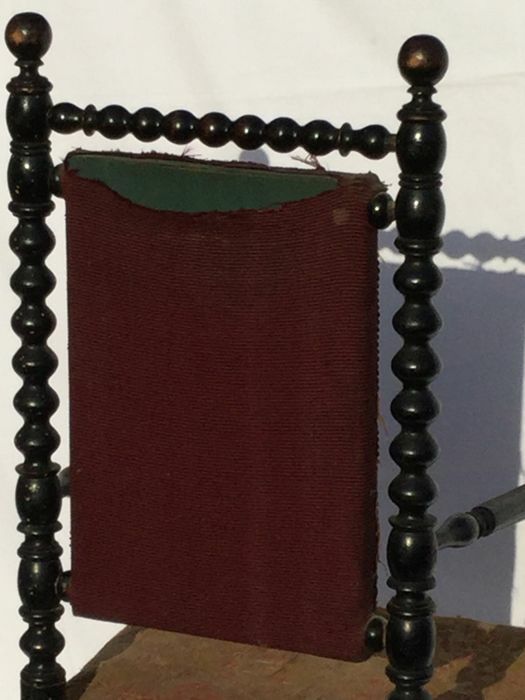 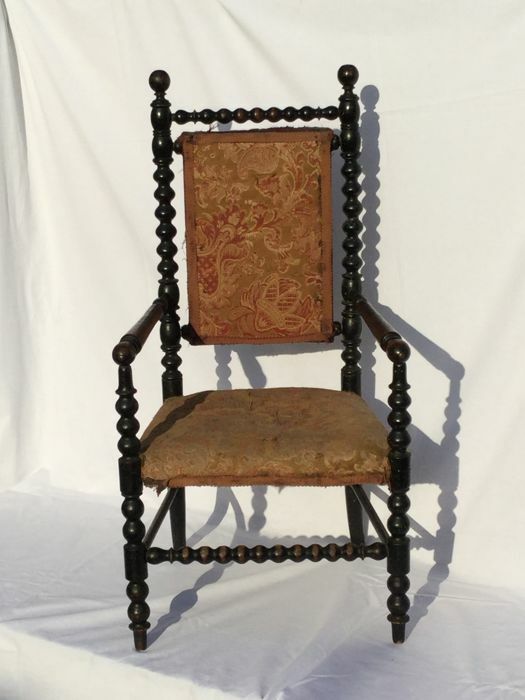 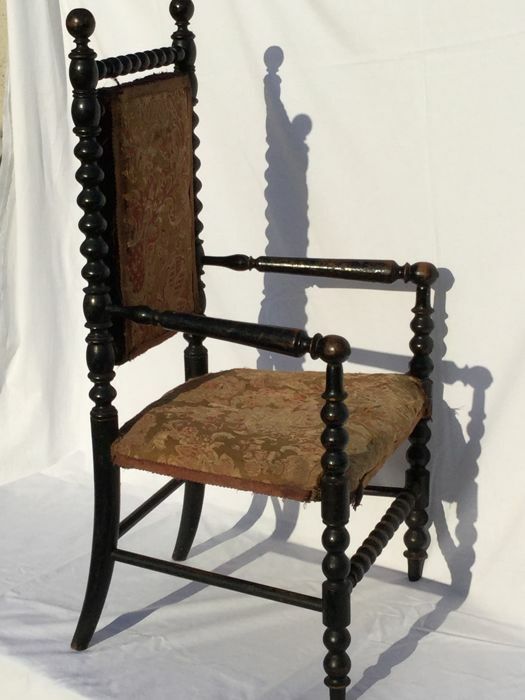 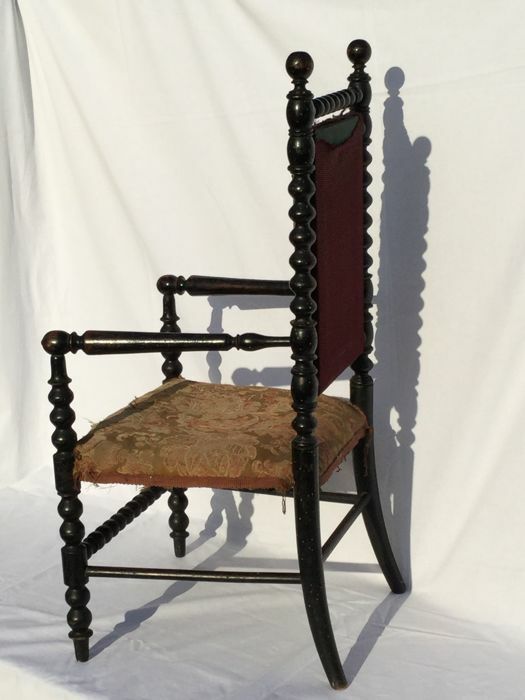 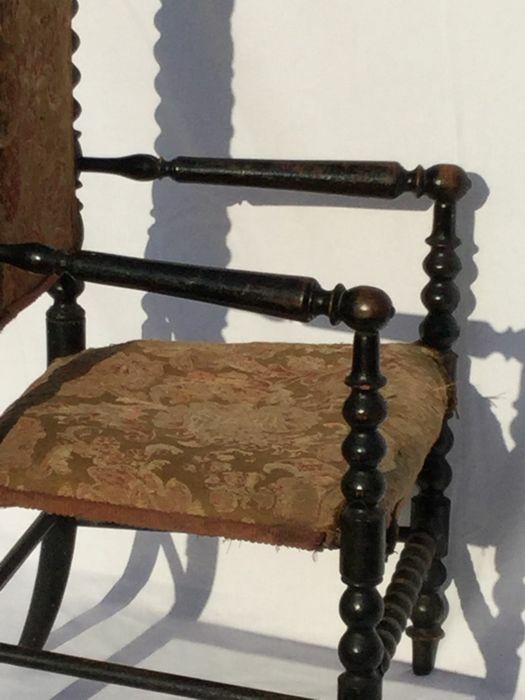 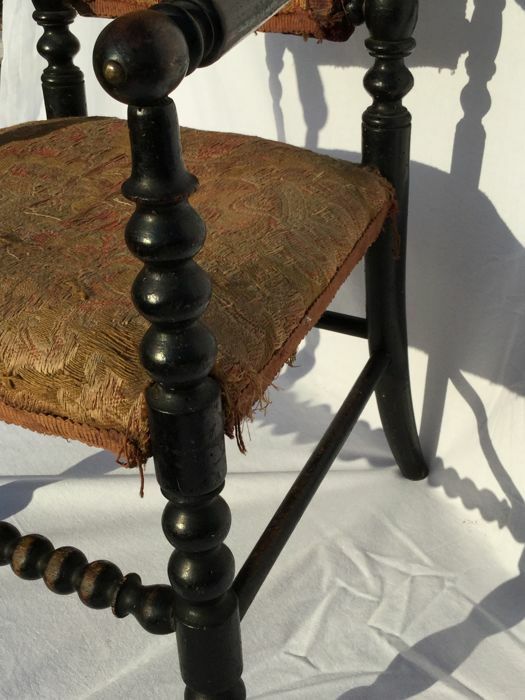 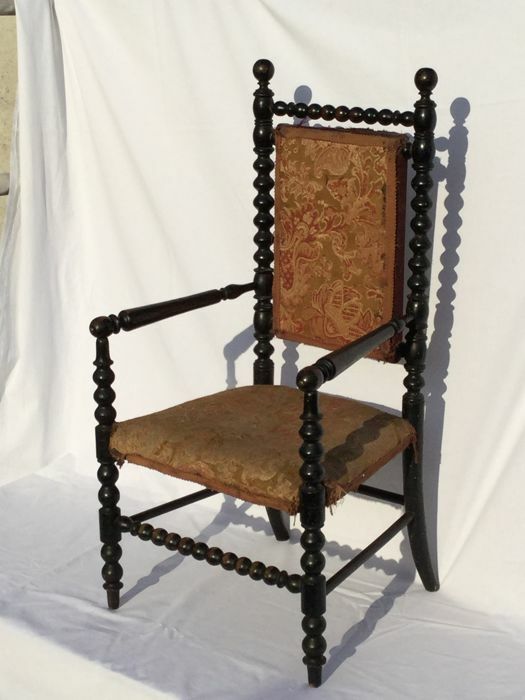 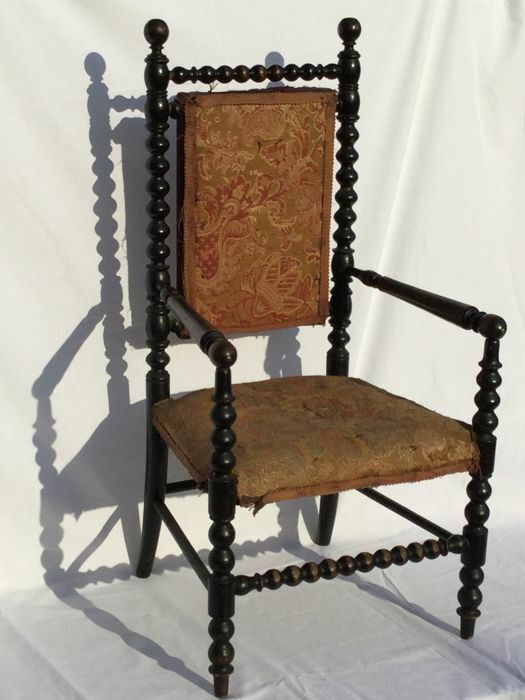 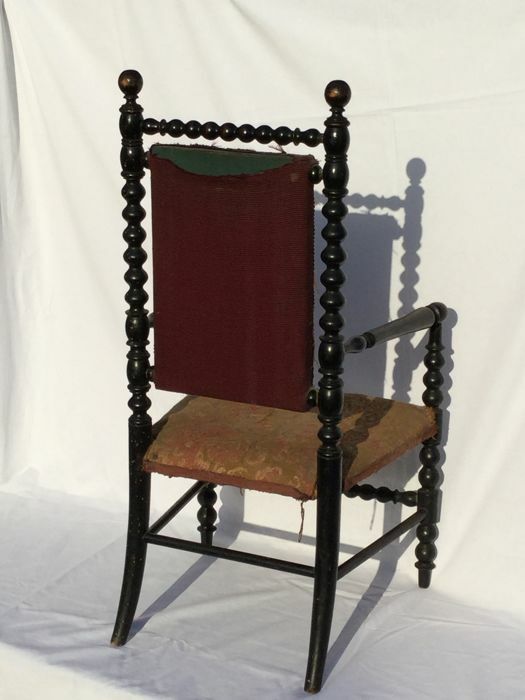 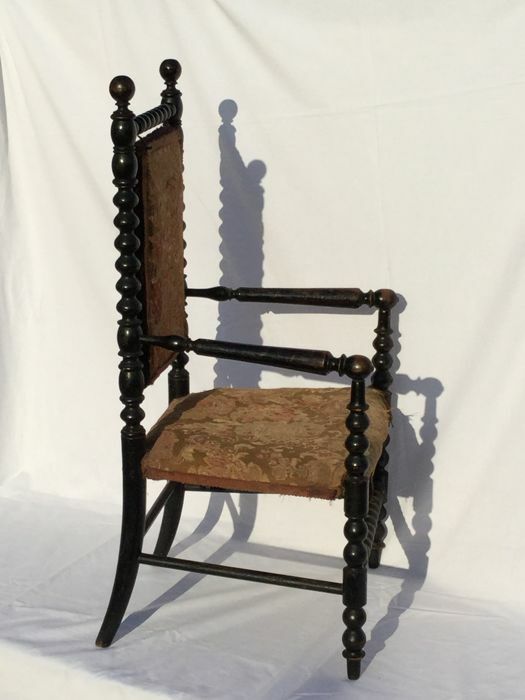 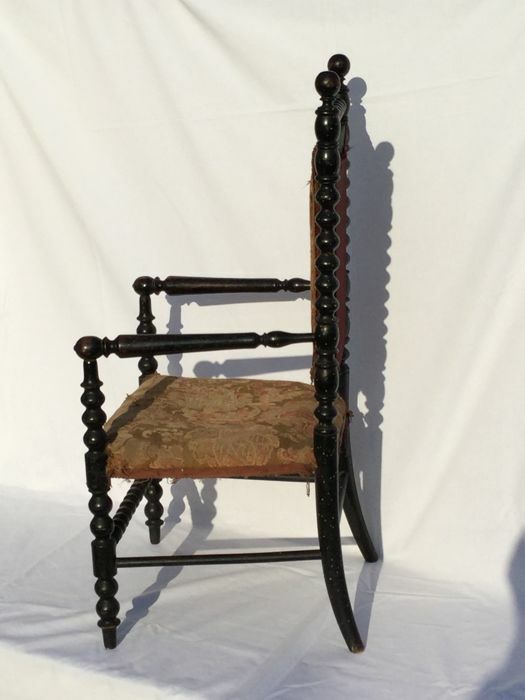 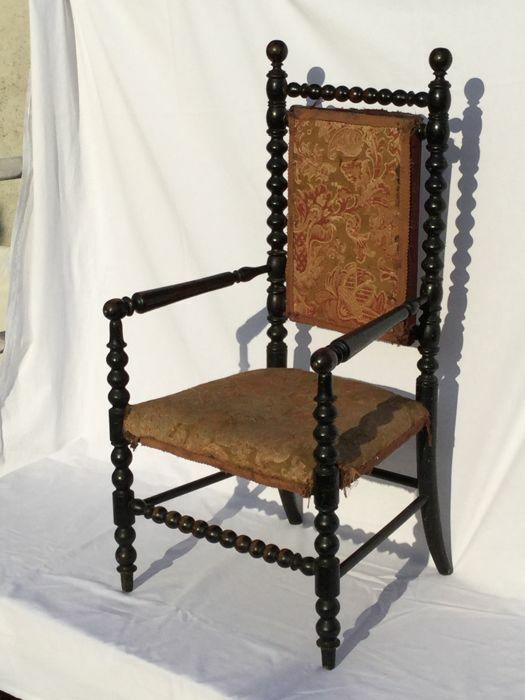 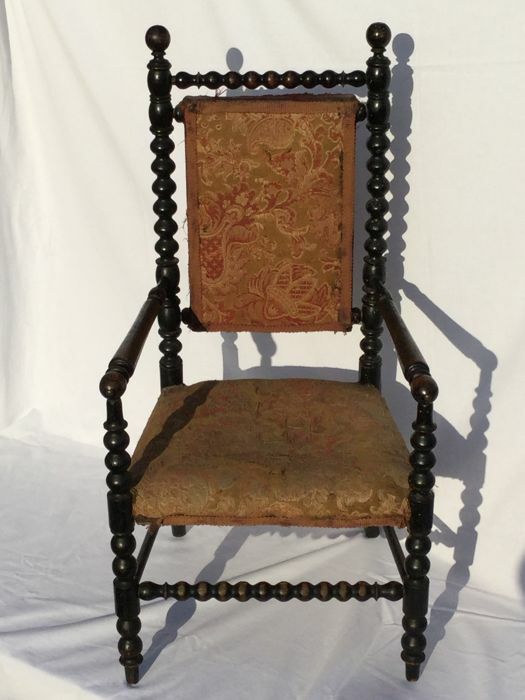 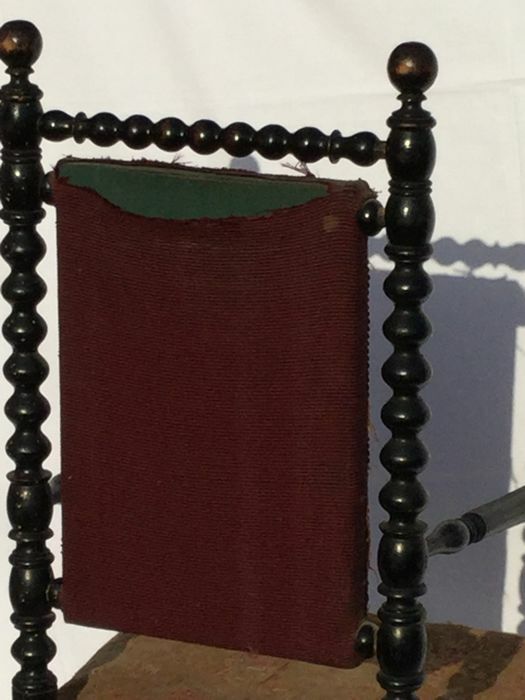 Beautiful Napoleon lll style, black lacquered wood and beautiful old embroidered fabric. 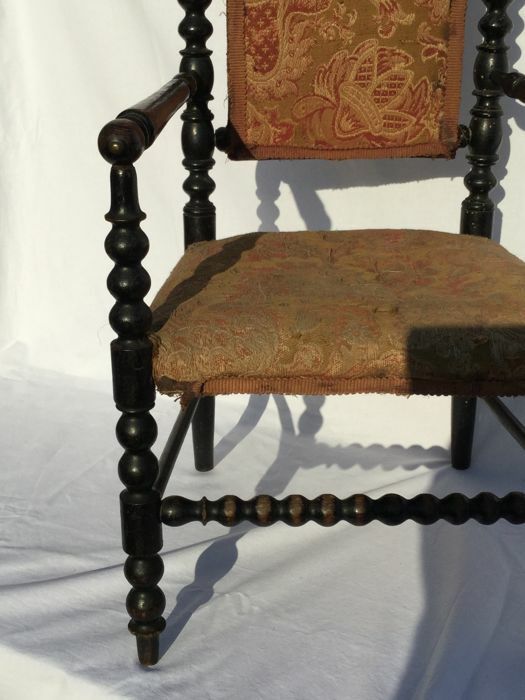 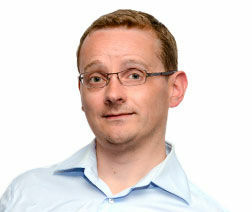 Firm and without reparations, in the condition as shown, see photos! 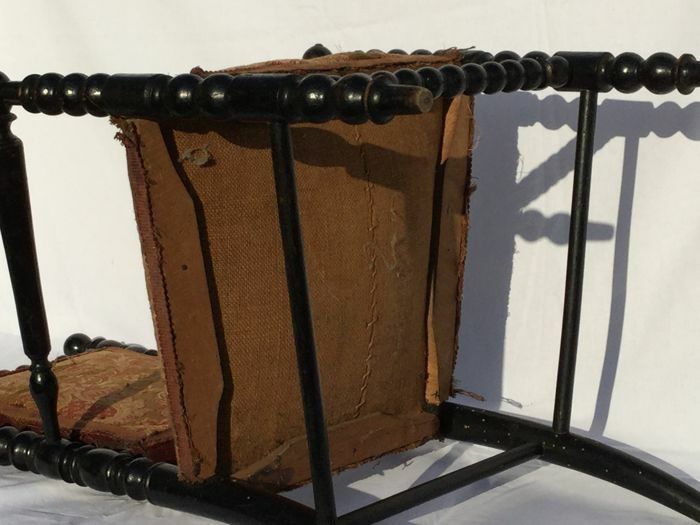 Everything will be carefully packaged and shipped by registered and insured mail. 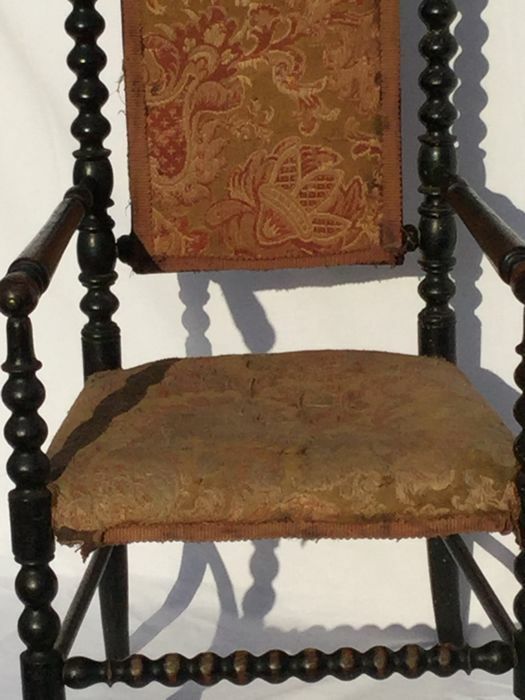 Feel free to check out my other offered items.